Karl Rice is the President of the Santa Cruz Seaside Company. He holds a master’s degree in business administration in finance and real estate from the Anderson School of Management at UCLA and a bachelor’s degree in business administration and communication from the University of Washington. Karl is a sixth generation resident of the Santa Cruz area and he and his wife have two children, the seventh generation of the family to call Santa Cruz home. Greg Lukina joined David Lyng Real Estate as the Director of Business Development in 2013 and helps oversee and implement the company’s strategic plan, growth opportunities, and overall business plan. Greg previously worked at Cahill Contractors, Inc. out of San Francisco where he held the position of Senior Project Manager. His last Cahill project was the construction of a $31.5 million, 120-unit apartment project in the Transbay Redevelopment District in the heart of downtown San Francisco. During his career at Cahill he had been involved in the new construction of a 250,000sf mixed-use office/residential project and renovation/tenant improvement projects at schools and hotels throughout San Francisco. Prior to starting at Cahill, Greg spent time as an engineer at Treadwell & Rollo, Inc, a San Francisco based geotechnical and environmental engineering firm. In addition to being a licensed Professional Engineer in the state of California, he recently completed his M.B.A. at the University of California, Berkeley’s Haas School of Business. He also holds an M.S. in Civil and Environmental Engineering with a focus in Geotechnical Engineering from the University of California, Berkeley and a B.S. in Civil and Environmental Engineering from the University of California, Berkeley. Greg lives in Santa Cruz with his wife, Morgan, and two sons. In 2009 Zachary Davis co-founded The Glass Jar, Inc. a Santa Cruz based restaurant group focused on the nexus between sustainable food and community. Current brands include The Penny Ice Creamery, The Picnic Basket and Assembly Restaurant. As CEO of The Glass Jar he is actively involved in all aspects of the business. In 2018 The Glass Jar was selected by Senator Bill Monning to receive the Small Business of the Year Award for the 17th Senate District and in 2014 The Glass Jar was the recipient of Business of the Year from the Santa Cruz Area Chamber. Zach currently serves on the Santa Cruz Downtown Commission as well as on the Boards of Directors for Visit Santa Cruz County, the Santa Cruz Downtown Management Corporation and on the Small Business Council of the Small Business Majority, a national small business advocacy group. 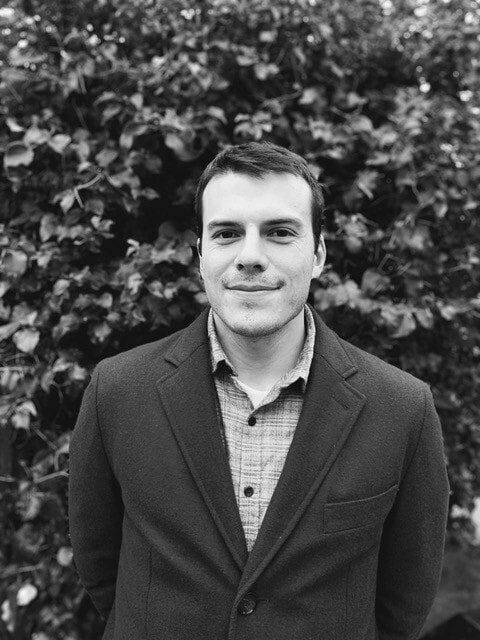 Zach holds an MBA from Dominican University of California in San Rafael and a BA from the University of Washington. Zach loves living in Santa Cruz County with his wife and three children. Shawn Adams is the Owner of Santa Cruz Signs and also Monterey Signs. Santa Cruz Signs is an award-winning full service sign company. With a full staff of Designers, Project Managers, Fabricators, and Installers Santa Cruz Signs is ready to help with any sign project. For a look at the capabilities of the company and portfolio of work please visit www.SantaCruzSigns.com. Shawn is very much a small business advocate. As a small business Owner himself he directly understands the many needs of small businesses and their challenges in finding and managing success. He has also served on the Board of Directors of the Monterey Peninsula Chamber of Commerce and was awarded Business of the Year in 2017. Consideration and respect for the environment are also very important to Shawn both personally and professionally. Santa Cruz Signs is a certified Monterey Bay Green Business and Monterey Signs has been awarded Ocean Business of the Year by Save Our Shores. Shawn was born and raised in Santa Cruz and is very proud to call it home. Highly accomplished and respected community outreach and education coordinator with a successful track record that embodies initiative, drive, planning, monitoring and execution of a wide-variety of projects and programs. A dedicated leader recognized for a strong work ethic, humor, keen insights, and the ability to coalesce the talents of stakeholders, co-workers and volunteers to deliver complex tasks. Ability to connect and galvanize seemingly disparate ideas, people, events and materials into creative action. Working independently, under the direction of mar-com manager, to plan, organize and implement community outreach efforts to enhance marketing of MBCP services to the general public, key customers, community stakeholders and public agencies. As an agency liaison, developing collaborative relationships with business, residential, municipal and non-profit sectors to expand participation in core services and programs, while emphasizing key product benefits and opportunities for account growth. In 2004, James Allen co-founded Allterra Solar, the leading solar installation company in Santa Cruz County and the Central Coast. As CEO, James built a team of the top solar professionals in the area and together they have created an award winning product and service offering. The company’s success has been built upon customer service, employee retention, and an unwavering commitment to the communities in which the company does business. James was born and raised in Salinas, CA and settled in Santa Cruz in 1998 after graduating from UC Berkeley with a B.A. in Environmental Science. James enjoys living in Santa Cruz with his wife and two children. Elissa Benson serves as Assistant County Administrative Officer for the County of Santa Cruz. In her role, she assists the County Administrative Officer in all aspects of administration of county government and the support and management of 25 departments, 2500 staff and an annual budget of $777 million across all funds. County Parks and General Services Departments report to Elissa. She also has policy and management oversight for county homeless services coordination across all county departments and collaboration with other community and government partners. 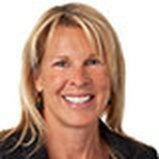 In her first year with the County she led the development and introduction of the County’s continuous process improvement program based on Lean-Six Sigma and the initiation of campus master planning activities in service to the County’s recently adopted strategic plan, Vision Santa Cruz. In early 2018, Elissa and her family relocated to Santa Cruz from Seattle, Washington, after serving in county government there in King County for over 20 years. Elissa Benson most recently served as a deputy director within the King County Department of Executive Services, overseeing the Facilities Management Division and prior to that, Deputy Director for Policy and Strategic Initiatives for the County Executive. She has an extensive background in policy and strategic initiatives, finance, and performance management and strategic planning. She has a Master of Public Policy from the Ford School of Public Policy at the University of Michigan and a bachelor’s degree from University of California, Berkeley where she studied political economy. She has a strong connection to Santa Cruz as her husband and all her siblings and siblings-in-law attended UC Santa Cruz. Jessie Bristow is a Development Project Manager for Swenson Builders. He holds a master’s degree in Urban and Regional Planning from San Jose State University and earned is bachelor’s degree in Political Science from the University of Hawaii at Manoa. His past experience consists of working in real estate development, and planning for cities and counties throughout California. Jessie enjoys community engagement and working with stakeholders to accomplish shared project vision. He owns a small coffee shop located in the City of Santa Cruz with his father and enjoys surfing, hiking, and travel. Angelo DeBernardo, Jr., is Executive Vice President and Chief Lending Officer of Santa Cruz County Bank. An employee since the Bank’s inception, Angelo administered the SBA lending program and within the first year achieved Preferred Lender Status from the U.S. Small Business Administration for the Fresno and San Francisco District, which includes Santa Cruz County. 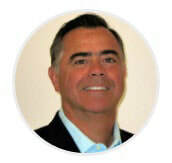 Mr. DeBernardo has over 30 years of community banking experience which extends across the greater Bay Area. He is a graduate of San Jose State University, with a Bachelor of Science degree in Business Administration and concentration in Accounting. Additionally, he is a graduate of Pacific Coast Banking School (PCBS), a National Graduate School of Banking at the University of Washington in Bellevue, Washington, where he has instructed for the past ten years. An active volunteer and leader in the community, Mr. DeBernardo is an Emeritus Director of the Dominican Hospital Foundation, a member of Santa Cruz Rotary, co-chair of the Santa Cruz Chapter of Attorneys, Bankers & CPAs (ABC), and has dedicated many years of commitment to local youth organizations and educational fundraising. He has been a resident of Santa Cruz County for 30 years where he lives with his wife and three kids. Currently, Roberto is the Vice President of Materials for Plantronics, Inc. He has worked with them for over 22 years, offering a strong background in lean manufacturing, procurement and global sourcing. He has succeeded in price negotiations and operations management, leading a team which has generated a reputable company cost savings. In his former role, as Vice President of Manufacturing, Roberto was responsible for providing oversight to over 3,000 employees, at offices located worldwide. During that time, Roberto implemented a lean manufacturing initiative that improved the timing of deliveries and inventory turns. In recognition of these major contributions, Roberto was given the President’s Award of Excellence. Graduating with honors, Roberto holds a Bachelor of Arts in Economics from the Universidad de las Americas, A.C. Roberto received his Masters of International Management from the Thunderbird School of Global Management. Sarah Latham has served as the Vice Chancellor for Business and Administrative Services at UCSC since fall of 2012. Her portfolio includes the Sustainability Office, Colleges, Housing and Educational Services, Physical Plant, Physical Planning and Construction, Risk and Safety Services, Real Estate, Financial Affairs, and Human Resources. Prior to UCSC, Sarah served for ten years at Samford University in Birmingham, Alabama where she was Vice President of Operations and Planning. She also served as an instructor in the Political Science department for eight years. Sarah started her career working for the Florida Legislature and Board of Regents. A California native, Sarah received her bachelor’s degree from the University of Alabama Birmingham and her master’s degree and Phd from Florida State University. Chris Murphy enters his third season as president of the Santa Cruz Warriors, the NBA G League affiliate of the Golden State Warriors. The 2017 NBA G League Team Executive of the Year, Murphy oversees all day-to-day aspects of the franchise’s business operations in his current role. In 2016-17, the Santa Cruz Warriors set franchise attendance records for single-game attendance (17,497 at Oracle Arena, third-largest in league history) and overall season attendance. The Santa Cruz Warriors currently possess a home sellout streak of 31 games at Kaiser Permanente Arena entering the 2017-18 season. Murphy also helped Santa Cruz increase the team’s corporate sponsorships 15 percent over the previous season and championed the team’s ongoing commitment to Santa Cruz by participating in dozens of local community events. He also serves on the NBA G League’s Team Leadership Council, where he collaborates with other team leaders to foster the NBA G League’s growth in all business areas and matters. Murphy began his career in the Warriors organization in June 2005 as a ticket sales account executive. He gradually progressed over 10 seasons in the Warriors ticket sales department, eventually serving as senior director of group ticket sales for two seasons before transitioning to Santa Cruz. Joyce Orndorff took a while to realize that medicine is her ideal blend of interests in science, technology, and humanity. She attended the University of California, Santa Cruz, where she double-majored in both Music Theory and Performance, and in Computer and Information Sciences. Joyce spent 10 years as a software engineer before returning to school for her medical degree. She graduated from the University of California, Davis, and School of Medicine and completed her Internal Medicine Residency at Kaiser Permanente Santa Clara. In 2016, she was invited to join the new Kaiser Santa Cruz team as assistant physician-in-charge for primary care. She has lived in Santa Cruz ever since she fell in love with the area during her undergraduate years – the juxtaposition of the stunning coast with the regal redwoods, the quirky vibe atop the relaxed atmosphere, and the strong sense of community. The chance to bring home a first-rate medical model and deliver superior personalized care to her home is a dream-come-true, and she eagerly embraces this adventure. She enjoys teaching residents and medical students. She serves as the Medicine Department Technology Leader, and appreciate bridging technological innovations to patient care. She also volunteers at the Catholic Charities John XXIII Health Clinic as an attending physician, a free clinic for the underserved in Santa Clara County especially targeted for those with concurrent behavioral health needs. She has played a crucial role in establishing the Catholic Charities John XXIII Health Clinic, and served briefly as director until early 2014. Tina Shull is the Assistant City Manager for the City of Santa Cruz. In her 10 years with the City she has worked on a range of issues to support Santa Cruz as a vibrant place to live, visit and grow business. Tina holds a master’s degree in public policy from Georgetown University and a juris doctor degree from Santa Clara University. In her free time, Tina enjoys exploring Santa Cruz County with her infant son and husband. Jon Sisk is the President of Lighthouse Bank. In his 20 years of experience working at local and regional community banks in Santa Cruz, Jon has specialized in construction and commercial real estate credit and lending. He is a founder of Lighthouse Bank, and prior to being appointed to the role of President, held the title of Senior Vice President, Senior Lending Officer. Jon is a graduate of Saint Mary’s College where he obtained a Bachelor of Science degree in Economics and Business Administration. Jon has a long standing history of local community involvement and leadership, including 18 years as a member and former President of the Santa Cruz Sunrise Rotary Club. He is a past President of the Board of Dominican Hospital Foundation and served on the Board of Trustees for Second Harvest Food Bank. In 2009, Jon and his brother-in-law, Ken Whiting, were recognized as “Men of the Year” by the Santa Cruz Chamber of Commerce for founding “Jon & Ken’s Most Excellent Adventure”, a non-profit organization which has distributed over $500,000 to rehabilitate, support athletic programs and restore infrastructure at Santa Cruz High School. He has also been a coach and supporter of local youth athletic programs for the past 15 years. Sid is President of Slatter Construction Inc. a commercial General Contracting firm founded in 1985 by his parents. Starting in the trenches, he worked his way up to President of the Family business in 2000. He is committed to the construction industry and served as Chairman of the Associated Builders and Contractors NorCal Chapter in 2009 and 2010 and served as the State Chair in 2011. Sid’s community involvement includes being a member of the Rotary Club of Santa Cruz where he served as President for the 2016/2017 Rotary year and served as the Chairman of the Santa Cruz County Business Council in 2016. Sid is a 5th generation Santa Cruzan. Dan Smart, director of sales and marketing for Dream Inn Santa Cruz, is a seasoned hotelier with international sales experience. Smart leads the sales and marketing teams in expanding leisure and group markets to keep pace with Santa Cruz’s growing exposure. Prior to joining Dream Inn, Smart spent seven years with the international tour operator, Collette Vacations, as the national account manager. Smart traveled worldwide and visited more than 25 countries. It was through these global experiences that Smart developed his passion for sales, marketing and tourism. Smart began his career in hospitality and tourism in 2005 at Casa Munras Hotel in Monterey, where he progressed within the hotel for more than four years, gaining experience working at the front desk and later as the director of sales. Smart is a California native from Lake Arrowhead and attended Cal State Monterey Bay. His passions include surfing, traveling, working on his house and 1966 ford and spending time with family, including his two young daughters. Mr. Smith has tried real estate actions in the Superior Courts of various counties, including actions involving fraud claims, contract claims, specific performance and rescission claims, title insurance claims, partition actions and assorted easement disputes. He has also represented both public and private entities in connection with delay damages and extra work claims on construction projects. Mr. Smith served as the City Attorney for the City of Watsonville since December 1995. Between 1996 and 1999, he served on the Community Service Policy Committee of the League of California Cities and was a member of the League’s City Attorney’s Department Legislative Committee in 1998 and 1999. In 2009 he began a two year term as Monterey Bay Division representative to the League of Cities Legal Advocacy Committee. Mr. Smith received his Juris Doctorate from the University of the Pacific’s McGeorge School of Law in 1979. He completed his undergraduate work at the University of California, Los Angeles and Chapman University. He is admitted to the California Bar, and the United States District Courts for the Northern, Eastern, Central, and Southern Districts of California. Mr. Smith has been actively involved in leadership roles in the community throughout his legal career. He was a member of the Watsonville Rotary Club from 1989 2014 and served on its Board of Directors in various positions. Between 1991 and 1995, he was a member of the Board of Directors of the Pajaro Valley Chamber of Commerce and served as its president in 1993. Mr. Smith was elected to the Governing Board of the Cabrillo Community College District in 1994 and was re-elected in 1998, 2002, 2006, 2010 and 2014. He also served as Chair of the College’s Governing Board in 1997, 2006 and 2012. He chaired the Cabrillo College Search Committee for a new president appointed in 2013. He has served several terms on the Cabrillo College Foundation and been a member of its Finance Committee. Mr. Smith also served on the Board of Directors of the Monterey County Law Library between 1980 and 1982 and the Santa Cruz County Law Library from 2010 to the present. He coached youth basketball the Watsonville YMCA and was very active for many years with several leadership positions in Local Boy Scout Troop 599. Tom Stelling has been a licensed realtor and a trusted name in commercial and multi-family real estate sales, leasing, and management since 1984. In 2009, following a successful commercial real estate career at the largest commercial real estate brokerage company in North America, and 7 years with a local Santa Cruz brokerage, Tom joined KW Commercial, the most respected and fastest growing commercial real estate sales and leasing team in the United States. Tom is recognized as an expert in local real estate issues, and is quoted regularly in the Santa Cruz Sentinel newspaper and is seen on the Real Estate Weekly television program. He was recently interviewed for the NBC Nightly News Program as an expert on local commercial real estate trends. 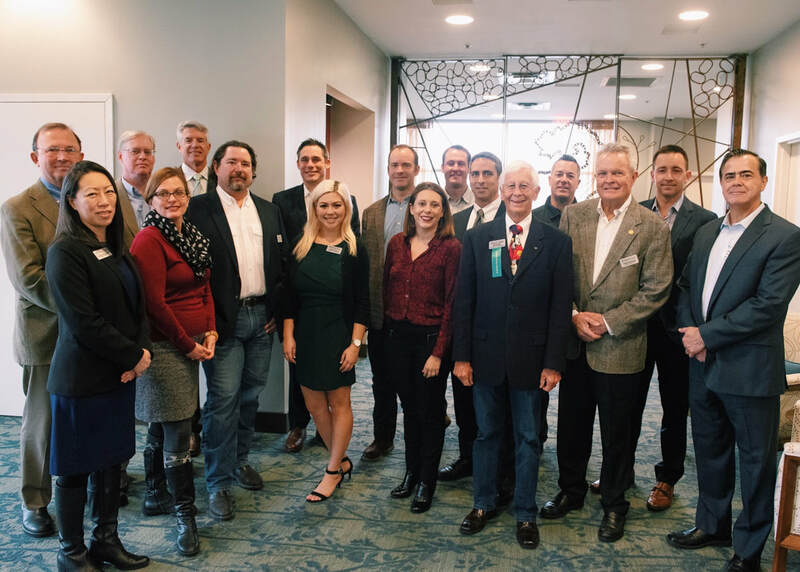 Tom is an active board member of the Santa Cruz Sunrise Rotary, on the board of the Santa Cruz Area Chamber of Commerce, an active participant in leadership Santa Cruz, and an active Member of the Bay Area Apartment Brokers Forum. In his free time, Tom likes to surf, sail, jog and spend time with his two teenage children Tommy and Lizzy. Matthew Wetstein was selected President and Superintendent of Cabrillo College in lat 2017 and took the leadership role in March 2018. Dr. Wetstein comes to Cabrillo College from San Joaquin Delta College where he served as the Assistant Superintendent and Vice President of Instruction and Planning in Stockton, California. He has participated in research funding and institutional grants totaling $8 Million. Prior to that, he served as Interim Dean of the San Joaquin Delta College Agriculture, Science and Math Division, and before that, was the Dean of Planning, Research and Institutional Effectiveness for five years. He has served as the President of the Research and Planning Group of the California Community Colleges from 2014-2016. His research on the effects of the economic recession on California Community College Students has won national and state awards. Dr. Wetstein began his academic career as a Political Science Instructor, with more than a dozen years of postsecondary teaching experience at colleges and universities in California and Indiana. He received a Ph.D. in Political Science and an M.A. in Political Science from Northern Illinois University, and he holds a B.A. in Political Science from the University of St. Francis, in Joliet, Illinois. Trina White joined Sutter Maternity & Surgery Center of Santa Cruz on Monday, October 23, 2017 as the Chief Administrative Officer. 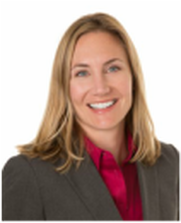 Trina was previously the Vice President of Operations for Sutter East Bay Medical Foundation. Trina began her career in healthcare as a Physical Therapist but quickly discovered she enjoyed healthcare management, and brings more than 16 years of healthcare management experience to her new role. 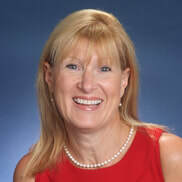 Trina’s diverse background includes leadership of physician groups and clinics, various inpatient and outpatient services, as well as planning, opening and running a 126 bed women’s specialty hospital before relocating to California in 2013. ​Prior to joining Sutter Health, Trina was responsible for both inpatient and outpatient oversight of the orthopedic and pain management service line for a health system based in Rancho Mirage, Calif. Her career has also included adjunct teaching in both healthcare and business programs including the University of South Dakota and the University of Nebraska at Omaha. Trina has a clinical Master’s degree in Physical Therapy from the University of South Dakota and an MBA from the University of Nebraska at Omaha. She is board certified at the fellow level with the American College of Healthcare Executives (FACHE) and also with the American College of Medical Practice Executives/Medical Group Management Association (FACMPE). In 2003 Thomas founded Wynn Capital Management with a vision of offering the advanced trading strategies normally reserved for institutions and hedge funds to individual investors - at a fraction of the cost. Hilary Bryant is Co-founder and Vice President of Strategic Alliances for Buoy Labs, a startup that is working to optimize the way we use water. She was a member of the Santa Cruz City Council from 2010-2014, and served as Mayor in 2013. Hilary and her husband, David Shuman, own Westside Animal Hospital, and have two young children. She also serves on the board of the Digital NEST, Coastal Watershed Council and is a member of Santa Cruz Sunrise Rotary. A UCSC graduate, she earned her BA in Biology and enjoys competing in triathlons, biking and surfing. Throughout his career, Mark has provided the structural design and civil engineering of many ordinary and several challenging projects including landmarks such as the Walton Lighthouse at the Santa Cruz Harbor, the Seymour Marine Discovery Center, the O'Neill Seawall and the World War II Memorial in Washington DC. His expertise is the design, planning and engineering of buildings, bridges, coastal structures and appurtenant facilities. Since selling his design practice in 2015, Mark now works exclusively as a forensic engineer and expert witness using his 30+ years of experience to resolve complex problems. Mark earned his BS in Architectural Engineering from Cal Poly, San Luis Obispo in 1983. 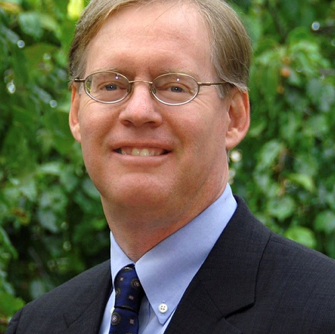 In addition to his work with the Chamber, Mark also serves as a planning commissioner for the City of Santa Cruz and serves on the board of several community organizations. Richard R. Pickard is the former Counsel for Plantronics, Inc. in Santa Cruz, CA. From June 2001 to October 2016, Mr. Pickard served as Vice President Legal, General Counsel & Secretary of Plantronics. Traded on the NYSE, Plantronics is the world leader in Communications Headsets, software and related technologies. In his role as General Counsel, Mr. Pickard oversaw all legal matters of the company including corporate, securities, M&A, litigation and intellectual property matters. Prior to assuming his post at Plantronics, Mr. Pickard spent 14 years at ZiLOG, a semiconductor manufacturer in Campbell, CA - culminating as Sr. Vice President, General Counsel and Secretary. Before that Mr. Pickard worked as Corporate Counsel at NEC Electronics, Inc. and in private practice at Crosby, Heafey, Roach & May and Graham & James. Mr. Pickard received his law degree from the College of William and Mary and his undergraduate degree from Williams College. Since January 2013, it has been my privilege to work with Supervisor Bruce McPherson, 5th District representative on the Santa Cruz County Board of Supervisors. I am advising the Supervisor on a myriad of environmental and economic policy matters with an overall focus on the region's transportation and energy initiatives. Supervisor McPherson previously served the greater Monterey Bay region as a State Assembly member and Senator, and was Secretary of State under Governor Arnold Schwarzenegger. From 2013 to 2016, Supervisor McPherson allowed me to lead the project team investigating Community Choice Energy on behalf of Santa Cruz, Monterey and San Benito Counties as well as all 18 Cities within the Monterey Bay tri-county area. After three years of work, Monterey Bay Community Power will be formed in early 2017. For more information, please visit the project's website, mbcommunitypower.org. I remain in service to the community as the 5th District appointee to the Santa Cruz County Commission on the Environment and as a Board member and Vice-President of Community Affairs for the Santa Cruz County Chamber of Commerce. Past Board Chair for American Red Cross, Santa Cruz Chapter. Also, extensive work with the Dominican Hospital Foundation Guild with current and former chair responsibilities for the past 15 years. Former Board Chair and Developement Chair for United Way of Santa Cruz. Current Chair for Santa Cruz Chamber of Commerce Women in Business luncheon committee. Goal to support the non-profit sector of our community through board service, particularly for the health and human service sector. Gary Merrill has over 30 years of professional experience as a management consultant, group facilitator, educator and organizational leader. Gary's practice is focused on increasing the viability, vitality and sustainability of organizations and businesses through consulting, leadership education and coaching. He has provided consulting and training services across a broad spectrum of public and private sector organizations throughout the country.